Le eroine dei cartoni animate della nostra infanzia Two animated Film (Disney vs Non Disney) about a little girl in a strange world ruled da an evil woman, which one do te like more? ^it's a little unfair to vote then isn't it? 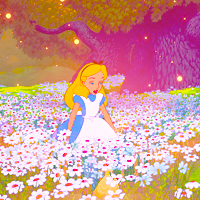 I do like Chihiro, but love Alice. I saw this for the first time the other day and loved it, hence my new icon lol. I much prefer it to Alice in Wonderland (Though I marginally prefer Alice as a character). 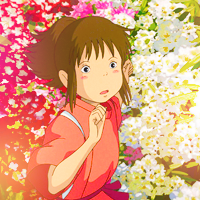 Both are absolutely charming an artistically compelling, but Spirited Away has the better plot and deeper meaning.